Canadian Daily Deals: Starbucks Rewards Changes Start Today! Get Gold Status! Starbucks Rewards Changes Start Today! Get Gold Status! Today is the day that changes to the Starbucks Rewards Program take into effect! Now you can collect 2 stars for every $1 spend on your registered Starbucks Card or the Starbucks app, previously you got 1 star per purchase (regardless of how much you spend). You will notice that any remaining stars from the "old" system have been multiplied by 11 to reflect the change. You have kept your Gold status and all the benefits that come with it, and any rewards that you already have. 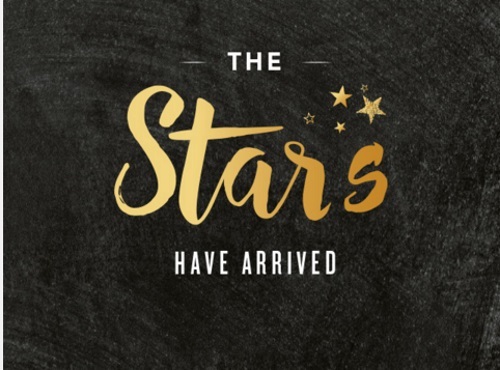 What's new is Starbucks is releasing a big and exciting update to the Starbucks app to make your experience in the new program even better. Be sure to check your phone when the new updates is available, the app will prompt you to update. You may have to log back into the app. Collect 125 stars for a Star Reward, good on anything on the menu (previously 12 stars got you a reward). There will also be Monthly Double-Star Days! A special day to collect 4 stars for every $1 that you spend. Check your inbox to know when your day is coming. Also, to celebrate the launch of the new program, we'll extend your Gold status for another year after you make your purchase with your registered Starbucks Card or the Starbucks App by May 2. Those who are not in the Gold status level will be bumped up to it, if they complete an order by May 2! So be sure to do that!